Our Vcaps® (vegetarian capsules) are made by Capsugel and allow you to fill your own powders at desired potencies, and avoid tablet binders and fillers. Buying powdered vitamins and filling your own capsules can save up to 70% off most retail prices. 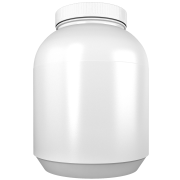 Our Bulk Vcaps® "00", depending on the powder, can hold between 546 - 1092 mg. At this price it works out at £0.02 per capsule! Each bag holds 1000 Vcaps®. Use to create your own capsules at home. "These are high quality caps and extremely easy to use. I had a kilo of HMB that I was going to throw away as the taste (even diluted) made me feel physically sick. With these caps, the HMB is easy to take as it's tasteless. \n\nI can down BCAA/EAA powder (swallow and wash down with flavoured squash) quite easily prior to a workout but during or after the workout, I can't manage it. With these caps however, I take as many as I need during/after without any problem.\n\nThe caps work out at 1.5 pence each and I'm using on average 10 each day that I train. 5 days a week means it's costing me 75 pence a week to make powders palatable. Without the caps, I would just go without. These are an essential purchase, especially if you're a vegetarian." "Best option to cap products like AA's, and are large enough to cap about 1g per cap. Especially useful for bitter compounds like BCAAs or combining ones own EGCG/caffeine/etc. fat burner cap. As a vegetarian I am happy to see products like this that serve my needs." Good product made on vegy baze, pure fiber without any unwanted additives. Excellent to make your own safe capsules with the capsulator machine. Great price, great quality. Excellent product used with a capsule filling kit as some powders taste unpleasant, easy to use and swallow, I will definitely buy this product again. Great product and service. The package was delivered within three days in great quality. "rubbish, came too swollen to even fit in the capsule machine"
VCaps are a much better buy then Gelatin Caps as they don't swell if exposed to moisture unlike Gelatin Caps. These are good quality caps and I've had no problems at all. Well worth the extra cost. I would also recommend buying a 2.5L tub to store them. 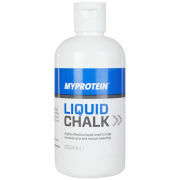 20/07/09 by "Good Quality, No Blanks"
"Only managed to squeeze some 530mg of BCAA per cap. Honestly, without the capping kit it's quite time consuming and, given the amount of powder per capsule, is not as convenient as bcaa tablets which retail at some 7.92p per a 1000mg tablet compared to 6.56p/1000mg of powdered bcaa+caps." "Haven't tried their caps yet but thanks for the reviews above. The fastest way I fill in by hand, not using a kit but just pressing the open end of the caps into a dessert bowl of the powder - like making a sand castle. This is very quick while watching favourite programmes. Try it."